FEATUREDHimalayan river highways, sleeping beauty’s castle and amazing ways to start your new year are all part of this week's roundup from NotVentures. 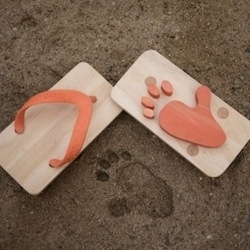 Ashiato are wooden animal footprint sandals for kids. 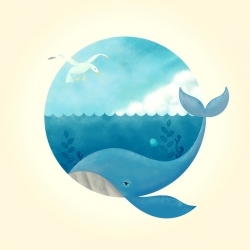 Horoculars by Dane Whitehurst. 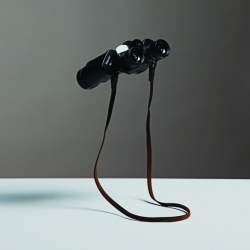 The optics in the left eye-piece of these binoculars allow viewers to insert historical slides. 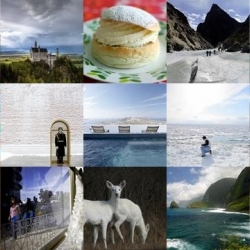 Users are encouraged to visit sites of cultural interest and explore changes in the landscape. 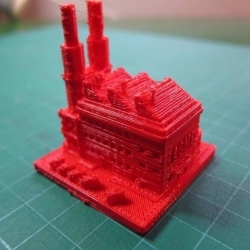 A set of 3D-printed buildings based on the virtual urbanisms of Sim City 2000. 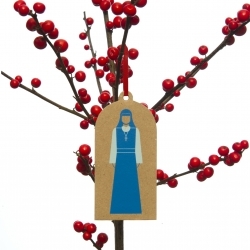 An embodiment of less is more, bring the aesthetics of the ascetic to your Christmas tree this year with the GraphicDesign& Three Wise Women! 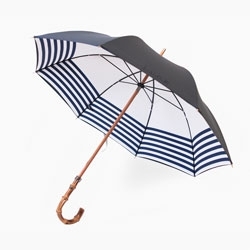 The stylish new L.U.G.B Naval umbrella with prints inspired by the British Navy. 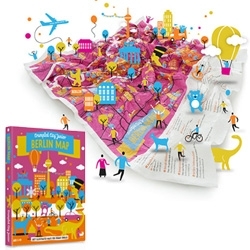 Check out the illustration works of Erdavid. Harold Cooper's ExtendNY shows us what the world would look like if the Manhattan grid system was applied to the entire earth. 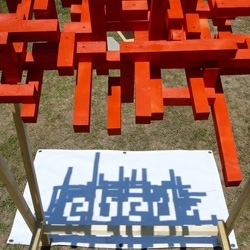 As part of the Hello Wood Festival in Budapest, a group of Hungarian university students created a wood sculpture whose shadow spells out the word 'ebéd' (lunch in Hungarian) at precisely 1pm. 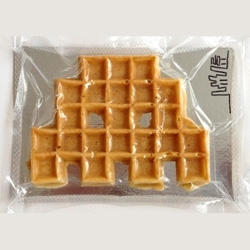 Attack of the Space Waffles ~ latest show from Invader opens tomorrow at The Outsiders in London - and has real waffles! 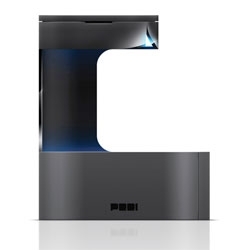 The elegant new 'Peel' coffee maker from HJC design. 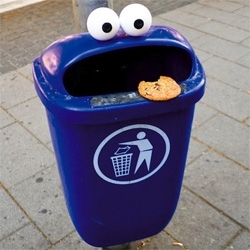 Wonderful Streetart by german designer Timm Schneider, who turns trash cans, coffee cups, and street posts into goofy cartoon faces. 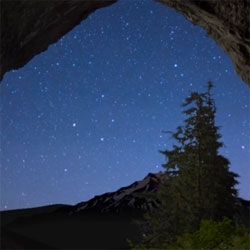 VIDEOFinding Oregon, a stunning time lapse from Uncage the soul productions. 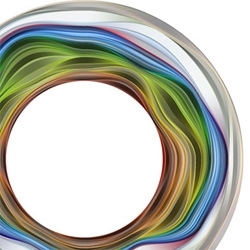 'Colors of a Year with Flickr Flows' - software that calculated the relative proportion of different colors seen in photos taken in each month of the year, and plotted them on a wheel. 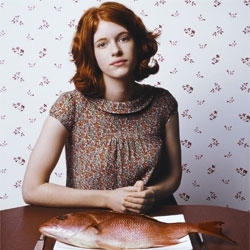 Evolution series capturing individuals with fishes by Ted Sabrese. Classic comic book covers turned animated gifs! Created by fan + illustrator, Kerry Callen. 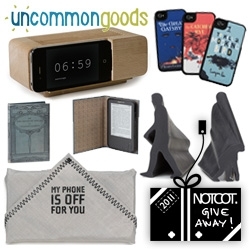 FEATUREDNOTCOT Holiday Giveaway #7: Uncommon Goods has quite the bundle for you ~ a Phonekerchief, an iPhone Alarm Dock, a Literary iPhone Case, The Origin of Species Case, and a Pair of Evolution Erasers! 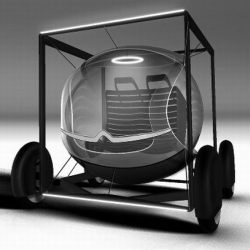 Citroen Boite concept car by James Brooks inspires the auto industry on developing simpler, more honest vehicles to make commuting pleasant and effortless, that without polluting the environment. 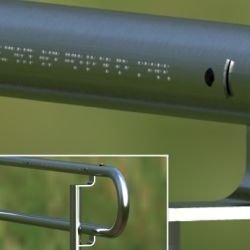 Braille handrail system to help visually impaired ‘see’ animals at the zoo. 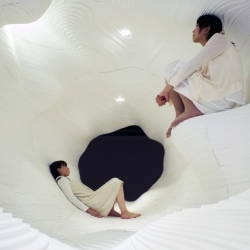 An Artificial Topography lounge space created by Japanese architect Ryumei Fujiki. 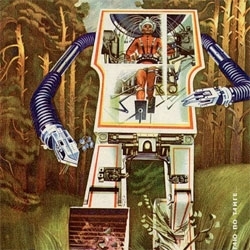 Awesome collection of old Soviet science magazine covers. 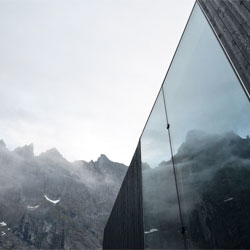 Trollwall restaurant by Reiulf Ramstad Architects in Trollveggen, Møre og Romsdal, Norway. 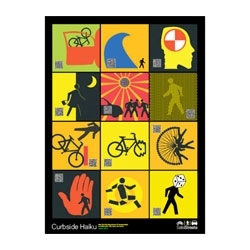 New York City's Department of Transportation enlisted artist John Morse to create Curbside Haikus. 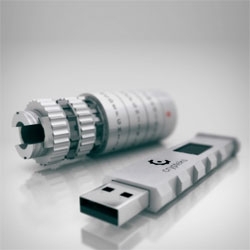 Crypteks USB with a mechanical lock and 256bit AES hardware encryption to keep your data safe. 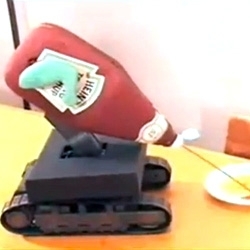 FEATUREDThis automated ketchup squirting robot has its own theme music... Words do not begin to describe the strange awesomeness of this video. 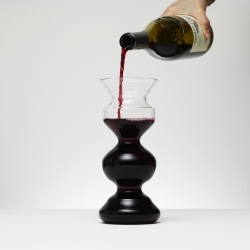 The Measuring Carafé works both as a functional vessel and subtle measuring aid. 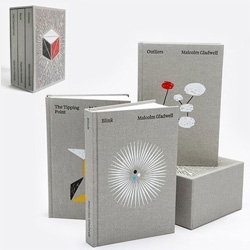 Now available to buy from the Design Museum, London. 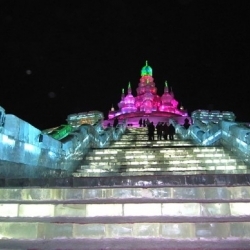 Each year an incredible crop of luminous ice castles rise at the Harbin Ice and Snow festival in China. 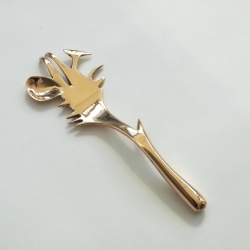 "Eating Implement" provides a new typology for cutlery, based on various animal dental parts for different varieties of food. 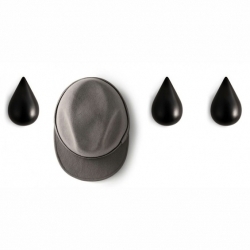 By Japanese designer Azusa Murakami. 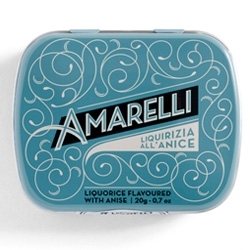 This new packaging is the latest “pearl” that Angelini Design has created for centenary Calabrian confectionery company Amarelli. 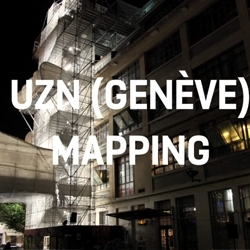 VIDEOExploratory live performance on the building of UZN, using a text by the poet linguist Steve Savage. 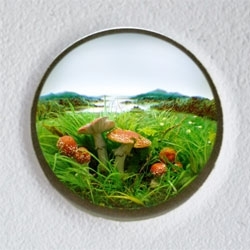 Beautiful dioramas by Patrick Jacobs. 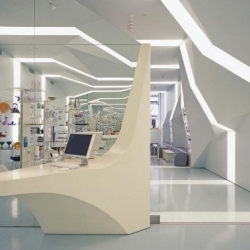 Alessi Flagship Store in Soho, New York City by Asymptote Architecture. 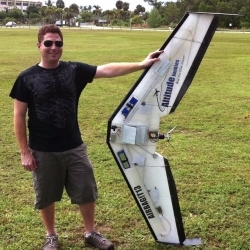 VIDEOVideo piloting my R/C Drone over Miami, FL. 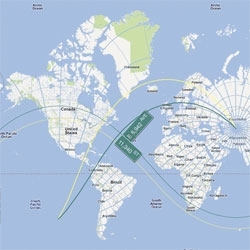 Filmed with GoPro Hero HD in 1080p. It's never too early to be standards compliant! 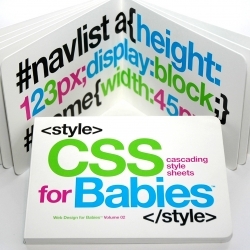 CSS for Babies™ is a 5×7 board book that has 16 pages of bold, col­or­ful, style sheet language to help imag­i­na­tive code geeks in train­ing describe presentation semantics. 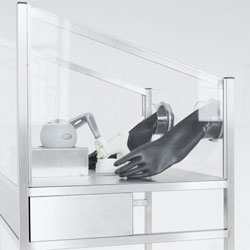 VIDEOHaptic Intelligentsia, a human 3D printing machine that allows the user to tactually perceive the virtual object and to directly transform it into the physical. 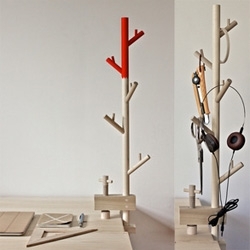 From Studio Homunculus. 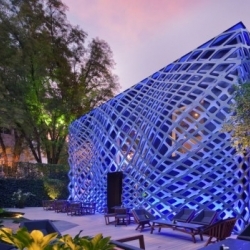 Considered one of the best Japanese restaurants in Mexico City and due to its remarkable success, Tori-Tori has now moved to a bigger location in the same area of Polanco, Mexico City, designed by Rojkind Arquitectos + Esrawe Studio. 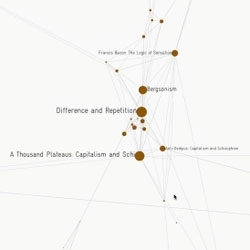 VIDEOThe Amazon Recommendation Network visualized with a tool written in Processing (processing.org) using the open source graph visualization library Gephi Toolkit by Christopher Warnow. 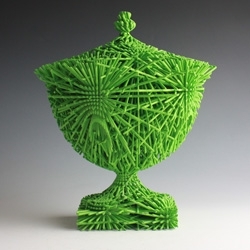 If the next Industrial Revolution were led by artisans able to ride the wave of new technologies and reinterpret tradition, then ceramic potter Michael Eden would no doubt be the first in line. 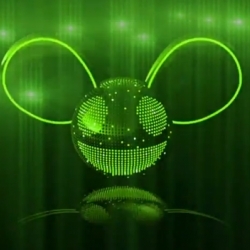 VIDEONokia Lights Up London with 4D Projection featuring Deadmau5. 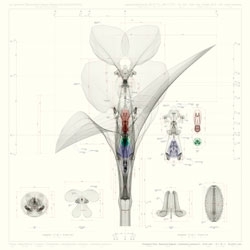 Macoto Murayama's Inorganic flora at Frantic Gallery. 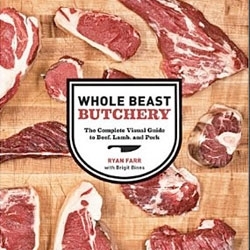 Ryan Farr's 'Whole Beast Butchery: The Complete Visual Guide to Beef, Lamb, and Pork' demystifies the butchery process. 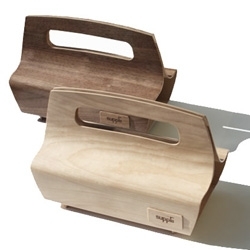 Layer x Layer Clamps are beautiful handmade wood organize that can clamp right to your workbench, desk, bedside, get creative! 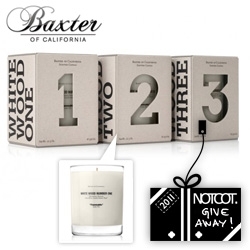 FEATUREDNOTCOT Holiday Giveaway #6: Baxter of California is giving away a trio of their new White Wood candles ~ beautiful packaging details! 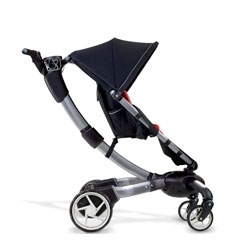 VIDEOAnother look at the 4mom self-folding origami stroller. 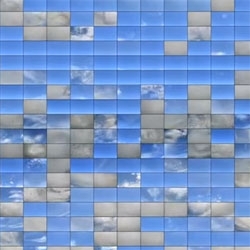 VIDEOA year-long time-lapse study of the sky by Ken Murphy. 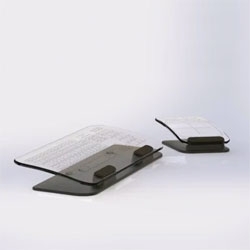 Glass Multi-Touch Keyboard & Mouse with a clear glass surface, using cameras to detect touches and open source software.